In 2008, Huntingdale (Melbourne, Australia) celebrated the 30th year of hosting the Australian Masters and was justifiably recognised as the 'Home of the Australian Masters'. Consistently rated as one of the best golf courses in Australia, Huntingdale greets players with superbly manicured fairways, strategic fairway bunkering and large undulating greens. Rising to fame in March 1979 with the inaugural hosting of The Australian Masters, Huntingdale has emerged as one of the most recognisable golf courses in Australia, and the world. Huntingdale has played host to a range of golfing greats, including Jack Nicklaus, Tom Watson, Greg Norman, Gary Player, Arnold Palmer, Nick Faldo, Bernhard Langer, Nick Price and Tiger Woods. 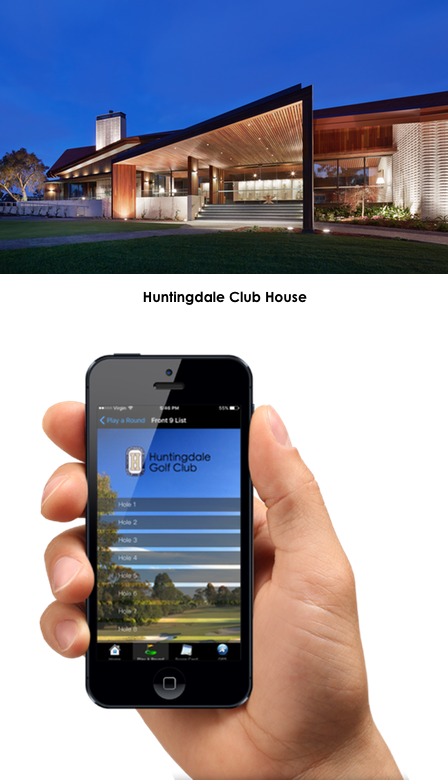 "Huntingdale is service-driven private course which operates exclusively for our members and guests. We engaged iCaddy Apps to build a high-quality (advertisement-free) App, which reflects the quality of our course & facilities. The finished product is sleek App which showcases our club in a manner consistent with our brand and highest professional reputation. The iCaddy Apps team did everything to ensure we were satisfied in all respects. We couldn't be happier. Well done guys." 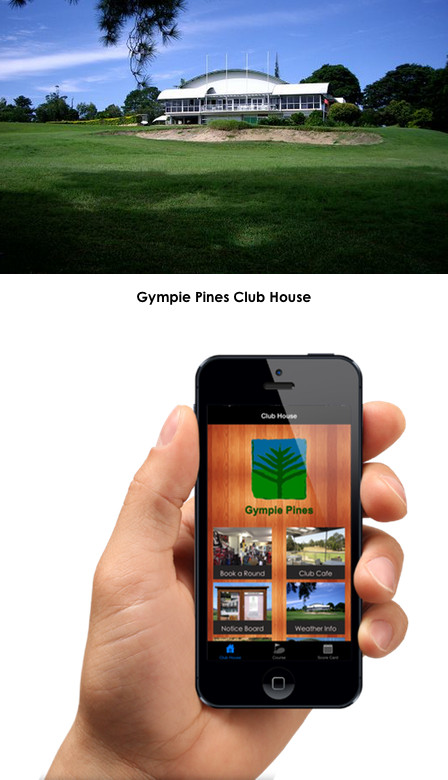 Gympie Pines is a regional golf course in Queensland, Australia that maximizes the financial benefits available from iCaddy's hole sponsorship options. The club enlisted 14 local businesses to sponsor a specific hole in the App. Each sponsor received advertising space atop their sponsored hole page. The revenue generated from these sponsors far exceeds the annual iCaddy Apps subscription cost*. Remaining advertising space features internal club promotions (Pro-Am etc.). The App's 9th & 18th hole pages promote the club's restaurant. These pages link to the menu which incorporates an on-course ordering service. *Example. Based on a $29 p/month subscription fee ($348 per year) and $160 advertising fee per hole, per year (14 holes = $2,240 per year). Actual revenue can be significantly more depending on local advertising market rates. "Our App has created a whole new revenue stream for the club. Our App lets us to tap into a new advertising sales market and it's been real economic windfall for us. Thanks iCaddy Apps. The extra benefits the App generates (in addition to sponsorship sales) is a real bonus, including extra bookings, increased Drinks Cart and restaurant sales, not to mention the customer services & information provided to our players. Why didn't we do this sooner?" The examples above reflect the full spectrum of golf clubs that can benefit from an iCaddy App. Whether you're a world-class club focused on the delivery of member services, or a smaller regional club looking to increase revenue and membership, or anywhere in between, iCaddy Apps offer a wide range of benefits & features which can be tailored to suit your club's needs. 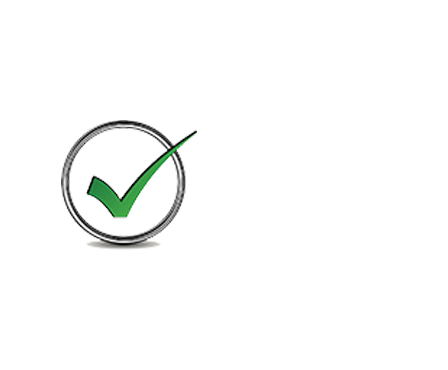 iCaddy Apps can be the key to your club's success. Make money and boost service delivery with an iCaddy App for your golf club - don't waste money on exorbitant set-up fees. Contact Us to learn how quick, easy & affordable building an iCaddy App can be. iCaddy Apps are the Golf Club App Specialists!